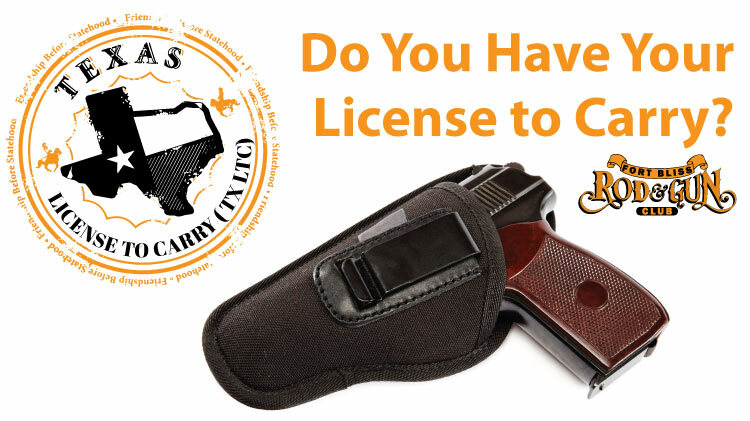 Date: Mar 2 2019, 8 a.m. - 5 p.m.
Take advantage of this opportunity to get your License to Carry permit. TX LTC is held every 1st and 3rd Saturday of the month. Additional classes are available if these do not fit into your schedule. Group reservations are also available by appointment only. Become a new member and the class is discounted to $45. You can register by calling (915) 861-4789.